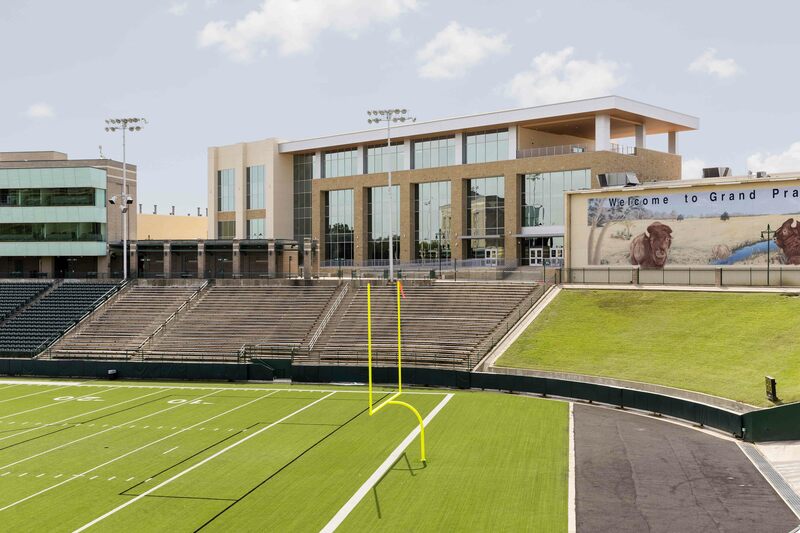 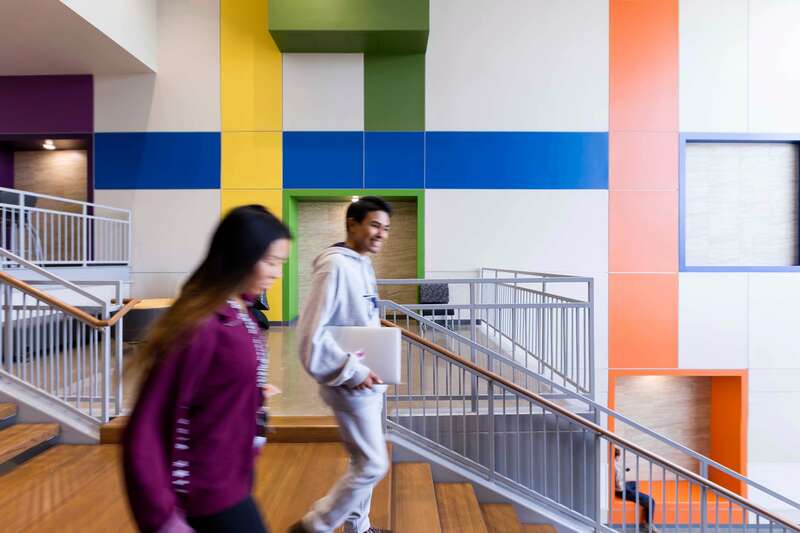 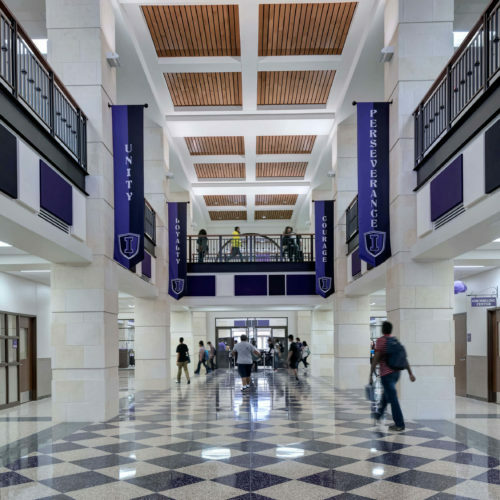 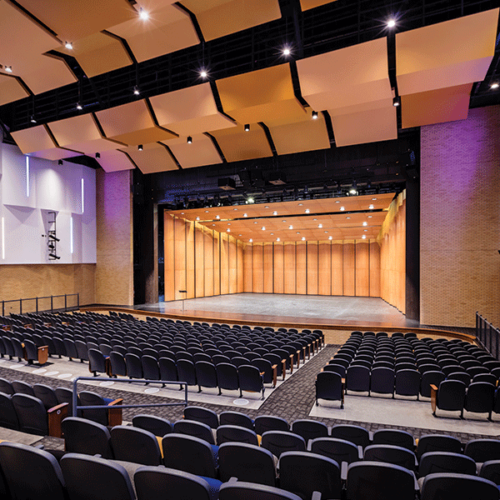 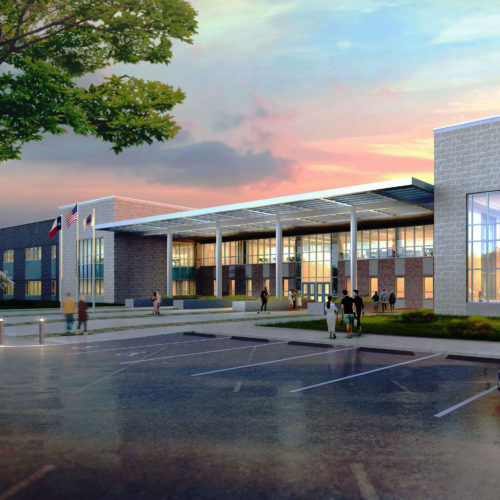 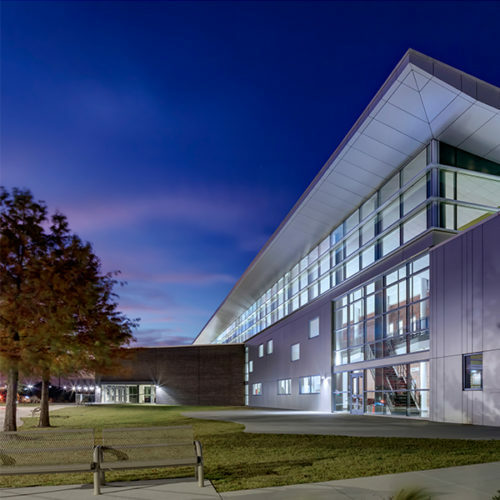 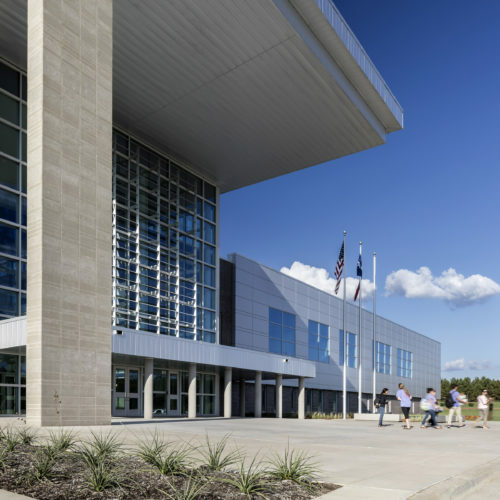 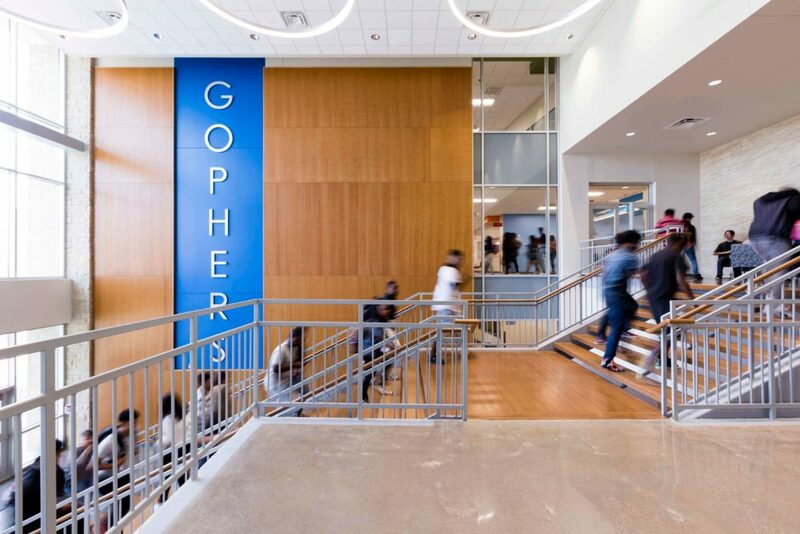 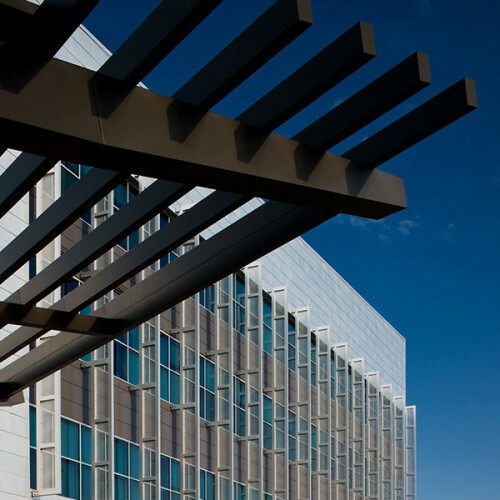 Grand Prairie High School's iconic four-story classroom addition elevates the campus identity and fosters collaboration and innovation. 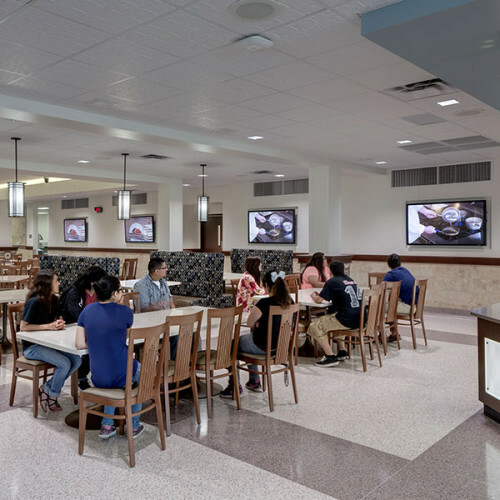 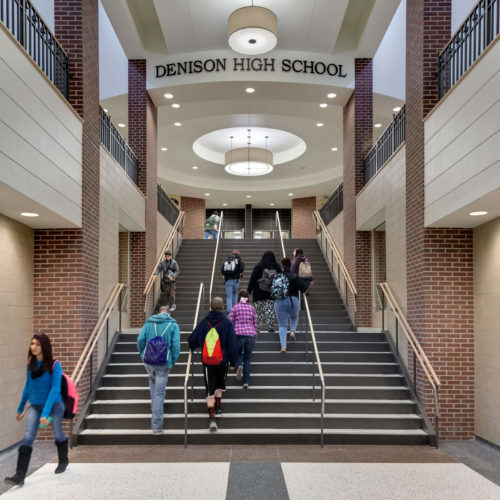 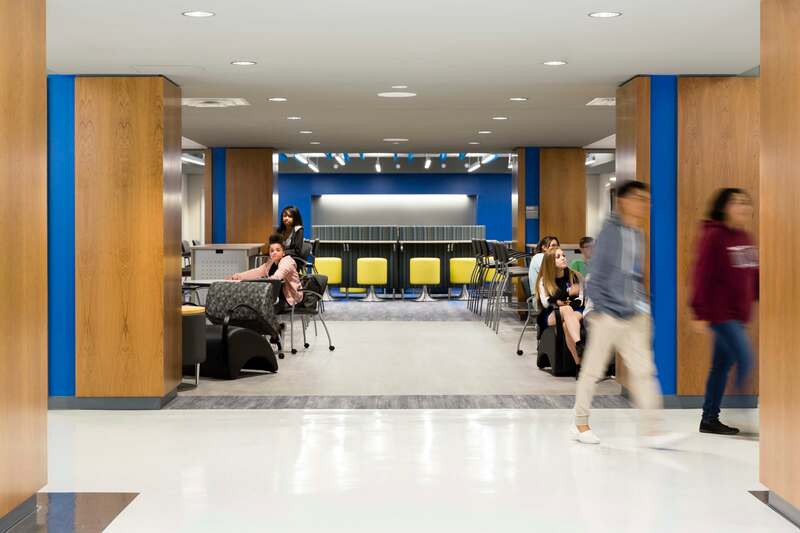 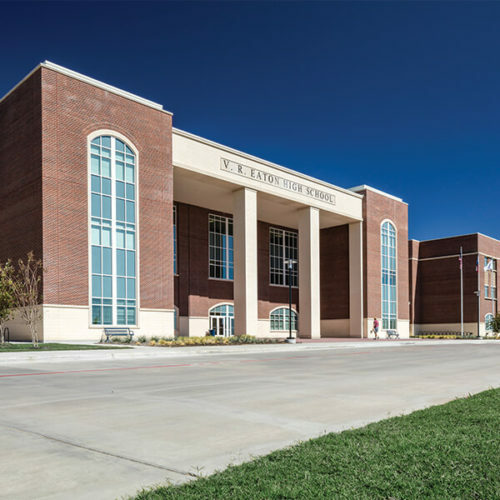 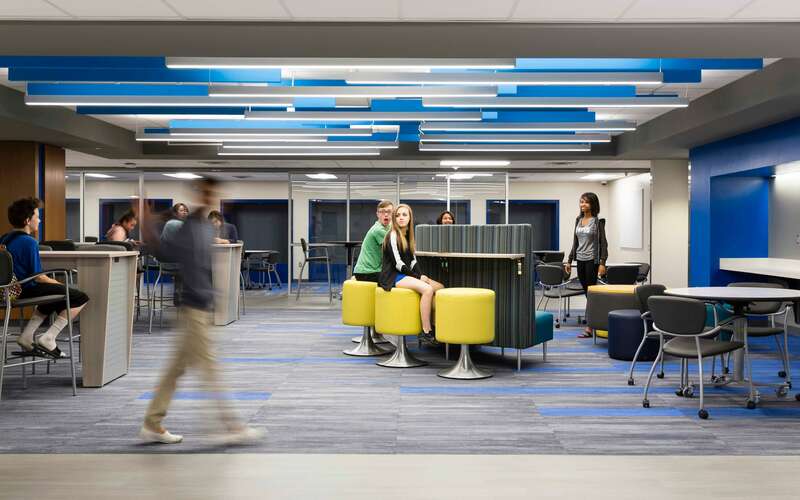 The 72,000-square-foot addition allows for increased student capacity and renovation of existing undersized classrooms into a 21st century student union and media center. 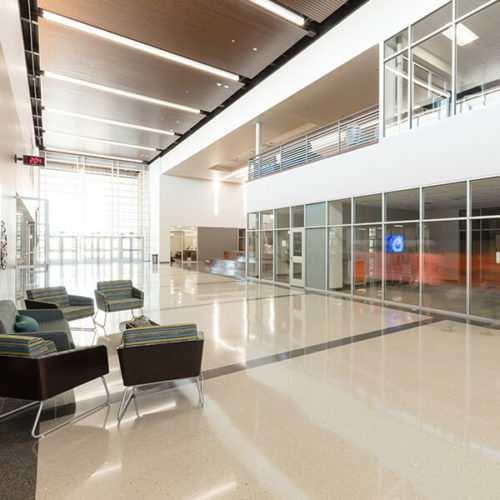 Natural stone and a new landscaped plaza provide warmth to the campus and outdoor classroom and community common space. 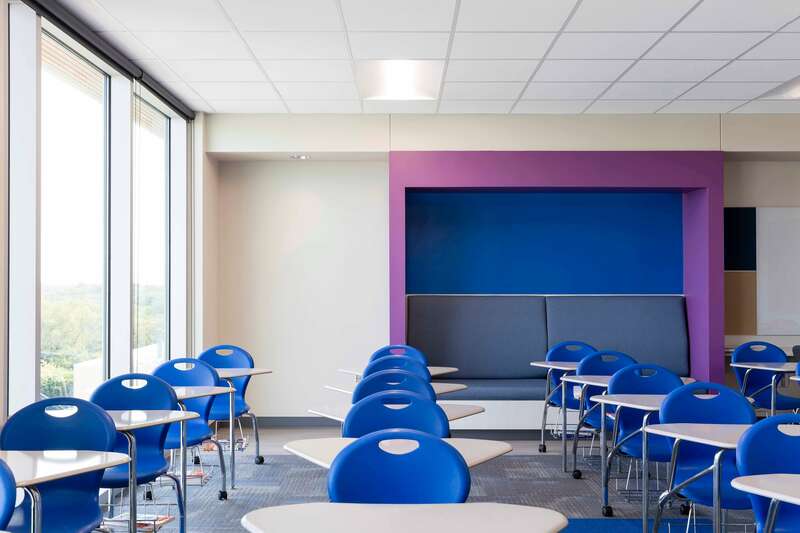 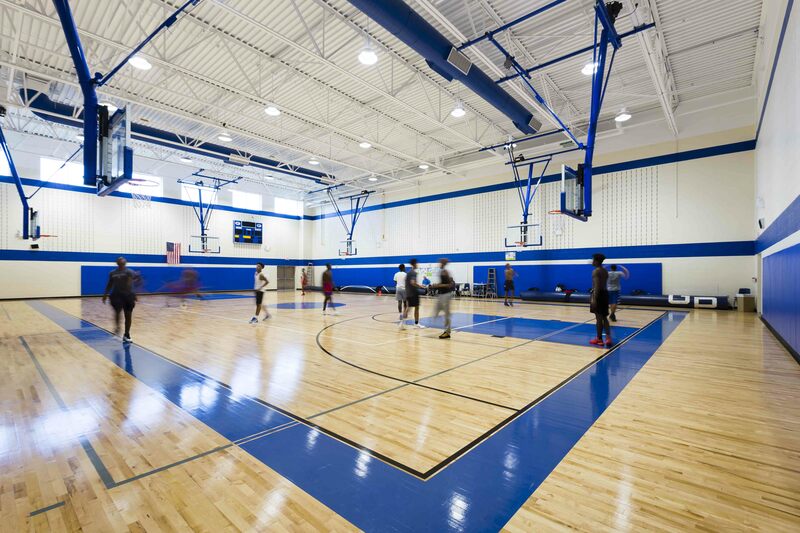 This classroom addition consists of four stories and 46 classrooms and has a capacity of 700 students.